As a guitarist you should know what types of guitars there are in the world. Guitars can be classified by several ways.This is one of them. CLASSICAL GUITAR-The classic guitar or classical guitar is characterized by the round sound hole, nylon or gut strings, and a rather wide neck. The reason for the wide neck is to allow the right-hand fingers to fit in between the strings for fingerstyle playing. The wood on a classic guitar is usually lighter than on a regular folk-style guitar in order to bring out the delicate tone of the nylon strings. Never put metal strings on a guitar made for nylon strings. The wood will not be able to stand the increased stress. We usually recommend starting on nylon strings, as they are easier (less painful) on the fingers. 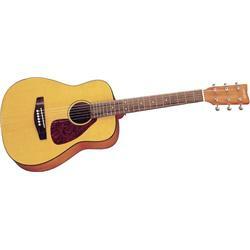 STANDARD FOLK GUITAR-This is a very widely used guitar today. It may be played with the fingers or with a pick. It is characterized by a round sound hole and a more narrow neck than is found on the "classic"-type guitars. The narrow neck is easier to finger barre or more complicated chords on. 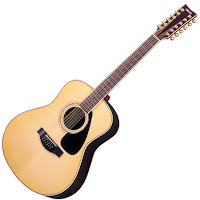 Ball-end nylon strings may usually be put on this type of guitar; however, since it is made for steel strings, it will not produce a tone with nylon comparable to a guitar made for nylon. It is a good rule to stick with whatever type of strings the guitar was originally made for (i.e., nylon or metal). This type of guitar puts out considerably more volume than a nylon-stringed or classical guitar. 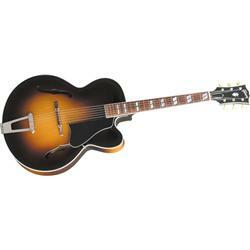 -This style of guitar is similar to the standard folk guitar except, of course, for the larger body. While the large body on this type is bulkier to handle, a fuller and deeper tone results from it. A fuller volume range can be obtained from this style of guitar than from a standard folk model. Some jumbo models come with a wide neck comparable to that found on a classic guitar. This is advantageous to the player who devotes most of his playing to fingerstyle. Standard folk guitars and jumbo folk guitars are sometimes referred to as "flat-top" guitars due to the flat surface on the face of the guitar (containing the round sound hole). 6-string model since the strings are tuned to the same notes. On a 12-string guitar there are six sets of strings, two strings to a set. Each set is tuned to the corresponding set on a 6-string guitar; however, some sets may have an octave spread. While this style of guitar is excellent for folk and blues playing, it is bulkier and less mobile technically. It is not recommended, therefore, that a student begin with this type of guitar. This type of guitar gets its name from the curved (arched) top on the instrument. Both the front and back of this type of guitar are arched. Modern arch-top guitars contain"F"-shaped sound holes. The curvature of the front and back lend a degree of mellowness to the sound. The"F" holes tend to project the sound for greater distances than a comparable round-hole model. Arch-top guitars find much usage as rhythm instruments in dance bands and in country music. Most folk and fingerstyle players prefer the immediate full spread of sound found on round-hole models. Arch-top guitars have metal strings. This is the type of guitar found inmost of today's rock music. It is built for speed and amplification. The sound possibilities are endless, depending on the pick-up, tone, and amplifier combination chosen. 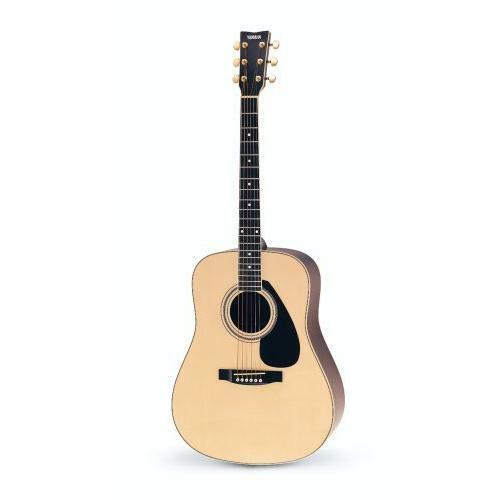 It is usually cheaper and more practical to begin on a non-electric (acoustic) model. 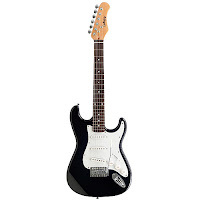 This type of guitar is also found in much of today's rock music. Again, the sound possibilities vary according to the electric components selected. 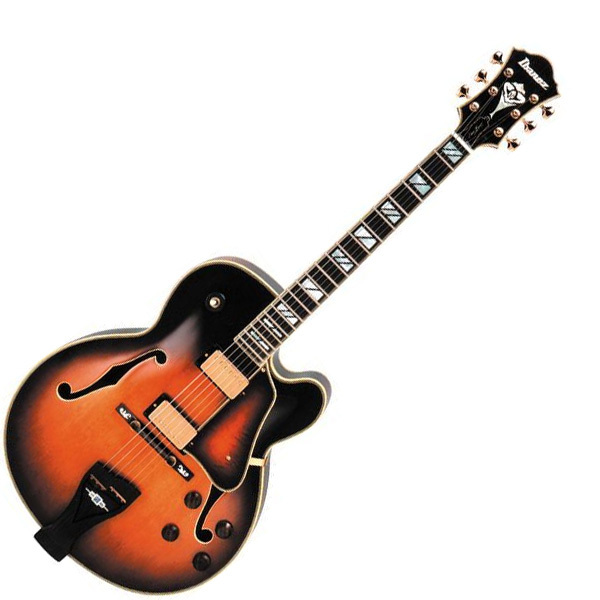 Many jazz guitarists prefer an acoustic electric with a deep body. (Essentially this is an arch-top guitar with an electric pick-up mounted on it.) A mellow tone can result from this combination, but the type of electrical pick-up and amplifier influence this.